Some Reds of Fall - Jill Ruth & Co. I'm still happy using tin cans as vases. 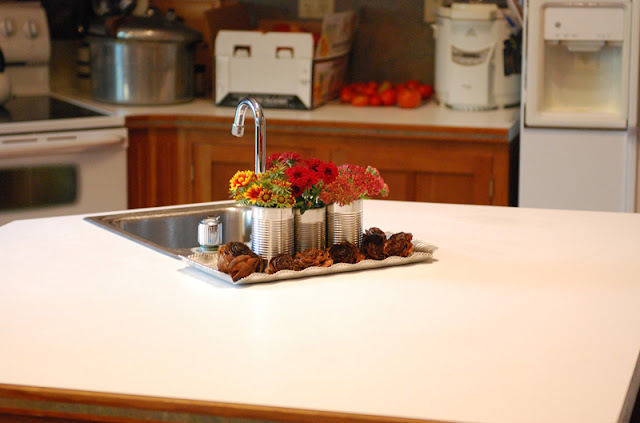 And, these cans pair up well with the vintage aluminum tray I've used before. I cut blanket flowers that were just buds because I really like them at that stage and they've been opening up more inside. The other two little bundles are mums and sedum. Such pretty colors! I picked up these "flowers" at a garage sale. The bag said just that, "flowers" 25 cents. I thought maybe they were pine cones that had been cut back somehow, but now I don't think so. Does anyone know what they are? A big bowl of them would be really pretty. thank you for your gorgeous fall offering...Love the warmth and beauty of it along with the way you manage to combine the humblest ingredients elevating them so beautifully! thank you Patty for identifying them! the rose pinecones are beautiful - I'm curious if they are ever seen here in the northwest - what a find!!! 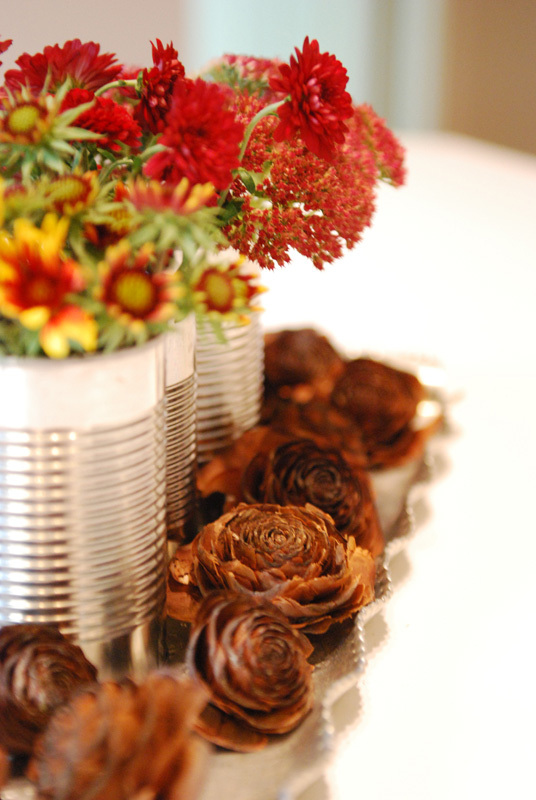 Jill- your arrangement is beautiful - I'm such a lover of tin cans too...and your new blog header - pretty great too! 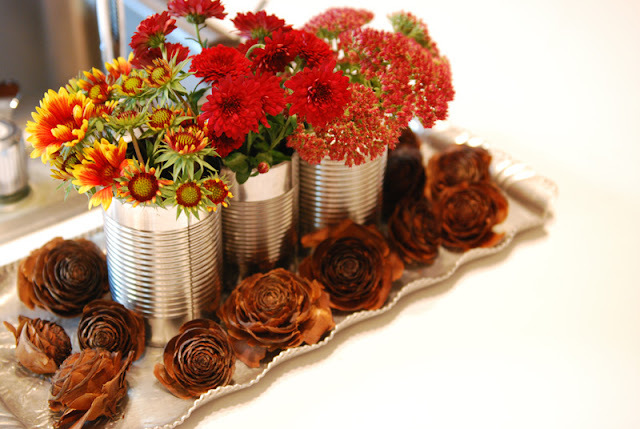 Your fall flowers are beautiful - love the use of tin cans. And that last paragraph - fall is here! So poetic. Jill... it's gorgeous!!! All of it! The tin cans are fantastic! LOL And the flowers - awesome!!! It's cold here... COLD in Texas!!! It won't last - but it's fun for right now!! !